Marcelo joined Merchant e-Solutions in January of 2016. With more than 20 years of experience, Marcelo has worked for Consumer and Finance companies as well as for a number of Financial Institutions, in the areas of Business Development, Treasury, Debt Capital Markets and Structured Finance. Prior to joining Merchant e-Solutions, Marcelo was the Vice President of Debt Capital Markets and Structured Finance at Goldman Sachs based in Sao Paulo, Brazil. During this period, he was responsible for advising key clients on strategic financing decisions as well as for executing several cross-border financing and acquisition financing transactions aimed at optimizing capital structure and reducing cost of funding for these companies. Previously, Marcelo held positions in Structured Finance, Debt Capital Markets, Treasury Sales and Currency Options Trading at HSBC in Brazil, London and New York. Marcelo also held positions at ING Barings, Citibank, Credicard and Nestlé based in Sao Paulo, Brazil. 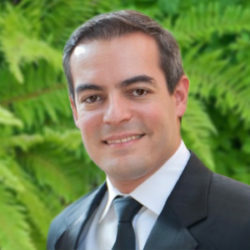 Marcelo holds a Masters in Business Administration (MBA) from the Johnson Graduate School of Management at Cornell University and a bachelor’s degree in Business Administration from FEA-USP in Sao Paulo, Brazil.